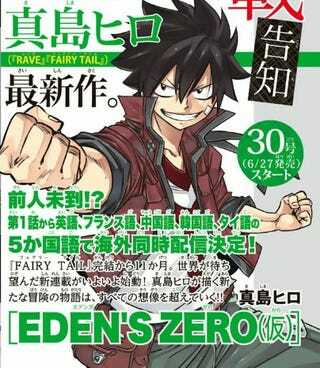 In the month of June is the month where 2 Mangakas of the Weekly Shounen Magazine will show their new Mangas, being those 2 Mangakas: Hiro Mashima (Fairy Tail, Rave) and Kouji Seo (Fuuka, Suzuka). Nowon the side of Seo Kouji, we have “Ryuunousuke Kenzaki the Editor” (name not final) and will present us a story about a female Mangaka who is about to make her debut on Shounen Magazine and her Editor who will help her pursuing her dreams, the manga will premier in June 20. What Manga are you most curious to see? If you ask me I am interested in both since I like (with all the bad things they bring) the works of both Mangakas; from Mashima with Rave and Fairy Tail, and Seo with Fuuka and Half & Half.